The Benefits of the One Stop Shop Style of Business. Shopping can be a pain, especially when you’re looking for a specialty container for a specific job. Having to go through pages of websites to find exactly what you need is challenging. Here at GWC, we understand that the search process is a time consuming chore that takes away from time that could be spent more productively, so we have organized our inventory and services to make it easy for you. When shopping at GWC, you find what you need and you get it fast, and that’s all thanks to our One Stop Shop business model. What does this mean for you? It means that if it’s in our inventory, we can get it to you fast. We inventory stock at all of our warehouses across Canada to make sure you can get a hold of what you need when you need it. What’s more: four of our warehouses are ISO registered. That means they adhere to a set of highly regulated quality and efficiency standards in both their production and manufacturing processes. This means you’ll not only be getting a quality product from our wares, but that it will be arriving to you safely and securely with a guarantee backed up by an extensively thorough certification. Not only will you be saving time when you call us first, you can rest assured that you’re looking through a selection of quality products that’ll suit the contents you need to package. No problem! Just because we don’t have something doesn’t mean we can’t get it for you. Just tell us what you need and we’ll go the extra mile to find it from one of our many North American suppliers. Whether it’s a 350ml bottle or a pharmaceutical spec stainless steel drum, we’ll find it for you. We can even help you find the perfect specialty container for those tricky jobs. We pride ourselves on efficiency and quality, and we don’t do business with any companies that don’t meet our standards. 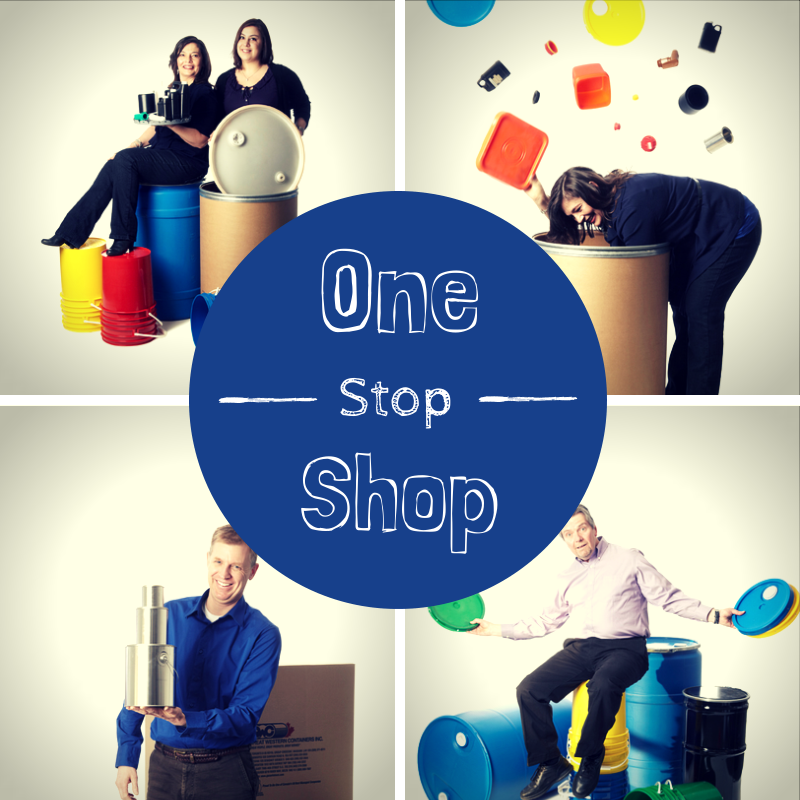 When using our one stop shop, your shopping experience for all your container needs will be a great one.